Friday is still pretty busy for me since our high school team is ranked #1 in the state and we are in playoffs. I spend my afternoon cooking and taking food to school so we can feed a gaggle of hungry high school band students. 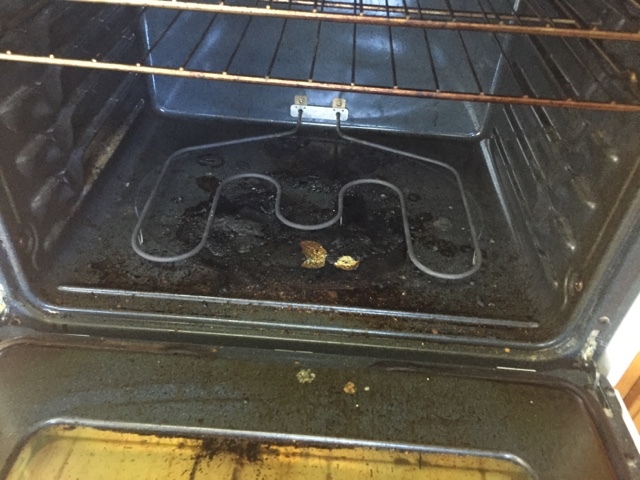 Today before lunch, I sprinkled half a box of baking soda all over the bottom of the oven, then dribbled vinegar over the baking soda. I let it bubble and foam, and let it sit for an hour while Sean and I had lunch. It's not perfect, but for fast cleaning and no chemicals, I'm impressed. I only spent 15-20 minutes and got this far. 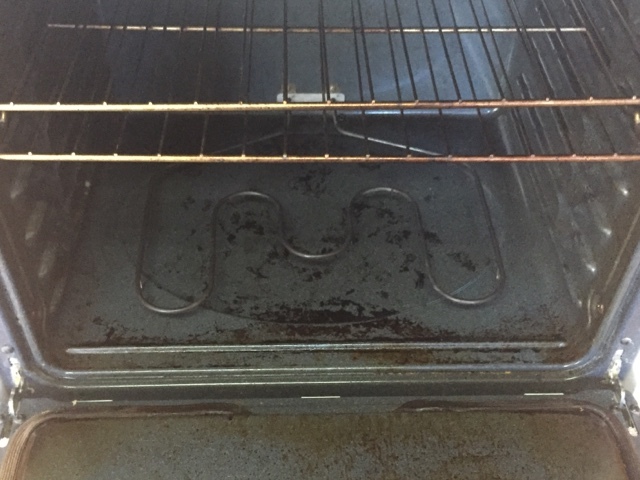 I intend to do a second round on the stubborn spots, but I'm thrilled it will no longer smell like burned food each time I cook. I have been trying to use less chemicals in our home and think this might be a winner!